Unique, hand-crafted, eco-friendly. Those are just a few words that come to mind when we think of Northwood Rings. First off, have you ever heard of bentwood? Yes? No? Maybe? You may be more familiar with it than you think – many wooden canoes, rocking chairs and pieces of furniture have been crafted with the bentwood technique. Bentwood pieces are created by wetting wood, then bending it and letting it dry + harden into curved shapes and patterns. And that’s exactly what they do with Northwood Rings! Why is this important? Well, it makes sure that there are no weak spots in the ring! We’re pretty fond of this technique + the foundation that the company was built upon – craftsmanship, beauty, preservation of natural resources, helping communities and everlasting love… Yeah, they’re pretty cool. And we’ve definitely noticed an emerging trend of wooden accessories – sunglasses, phone cases, laptop covers and now these wedding rings! 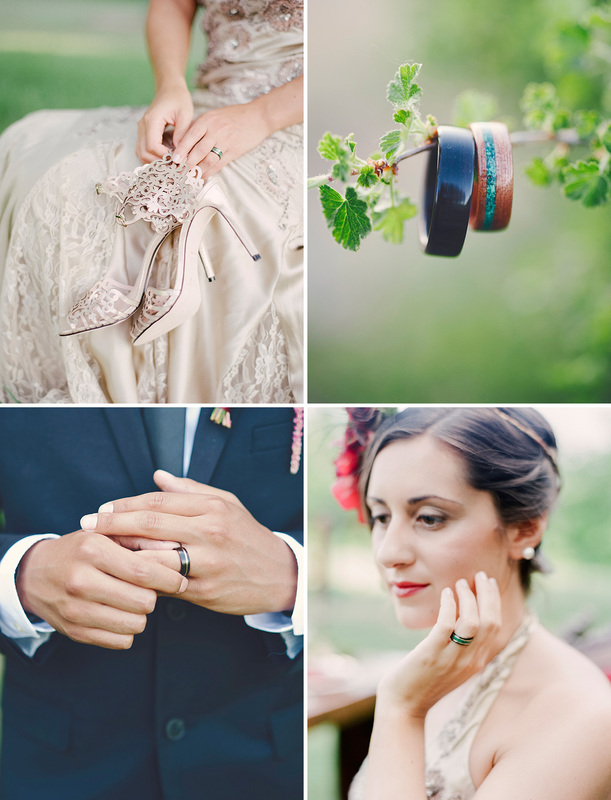 We’re all about the creative customization of these bentwood rings… And now, without further ado, let’s get to the goodies! Many of the popular designs feature crushed stone or inlaid shell. The final step to each ring is coating it with a durable waterproof seal, which allows the ring to be worn while washing your hands or showering! 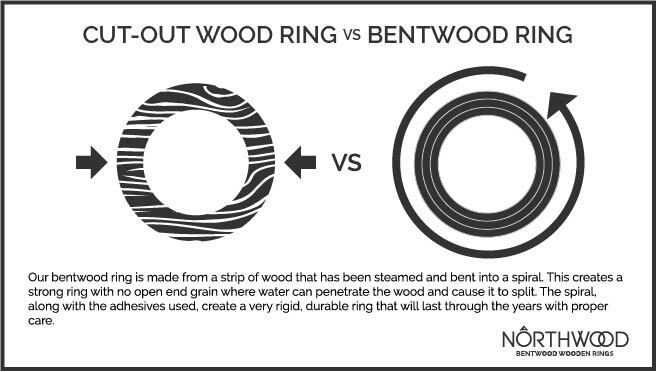 The team at Northwood Rings shares What we believe is a part of every ring that we make. It’s how we live our lives, and the gift we hope to share with our customers. 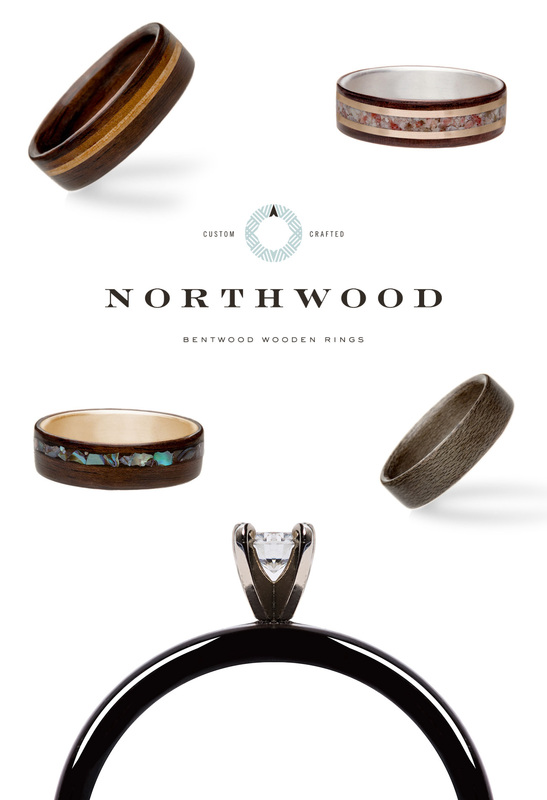 If you are considering a Northwood Ring and want to provide your own materials we ask that you collect any wood, inlay materials or gemstones with care for where they are coming from. The origin of the materials truly matter. Aren’t those neat?! 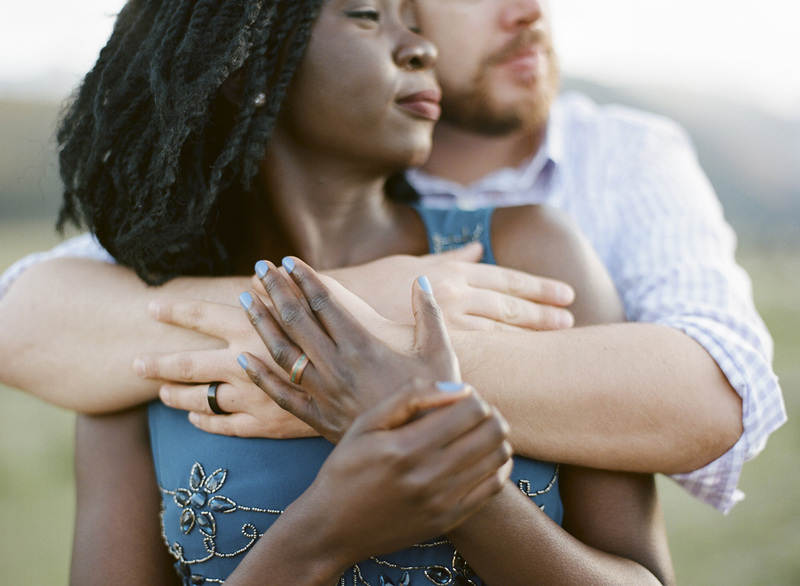 For our lovely readers, Northwood Rings is offering 10% off of your order through November 18 – use code “GWS16”! However, you might not want to wait too long… because their deadline for holiday orders is November 7! * This post is sponsored by Northwood Rings. Thanks for supporting our sponsors!